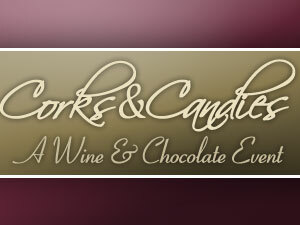 On Friday evening, August 2, you’re invited to join us for Corks & Candies – A Wine & Chocolate Event, from 6 to 7:30 p.m. 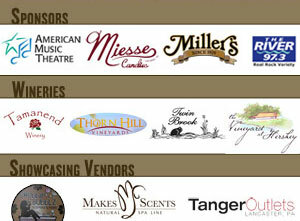 This special pre-show reception will feature chocolates from Miesse Candies, and wine samples from The Vineyard at Hershey, Thornhill Vineyards, Tamanend Winery, and Twin Brook Winery. We’ll also offer tasty hors d’oeuvres from Miller’s, and displays by Tanger Outlets, Makes Scents Spa Line, and Chubby Bubblz Soapery & More. Our Corks & Candies reception will be followed by a performance of our acclaimed Original Show Broadway: Now & Forever at 7:30 p.m. Broadway: Now & Forever pays tribute to the best of musical theater, from current hits like Wicked, Jersey Boys, and Mary Poppins to enduring classics like West Side Story, Evita, Annie, and Les Miserables. To make this sweet evening even sweeter, we’re offering both Corks & Candies – A Wine & Chocolate Event AND tickets to Broadway: Now & Forever for the exceptional price of only $29.50 per person! For one evening only, you can enjoy wine, chocolates, hors d’ouevres, and an exceptional show for less than the regular adult ticket price. To make reservations for Friday, August 2, visit our Box Office, call us at 800-648-4102, or click here to order online. No special code is needed to take advantage of this sweet, special offer! Must be 21 or over to consume alcoholic beverages; Cannot be combined with other offers; Service fees apply.